How to Make “Hedge Fun” Hedgehog Hot Pads - EASY! The problem is that when you open the pattern, the Head and Body pieces are right next to each other and they don’t look like they will fit - BUT THEY DO! 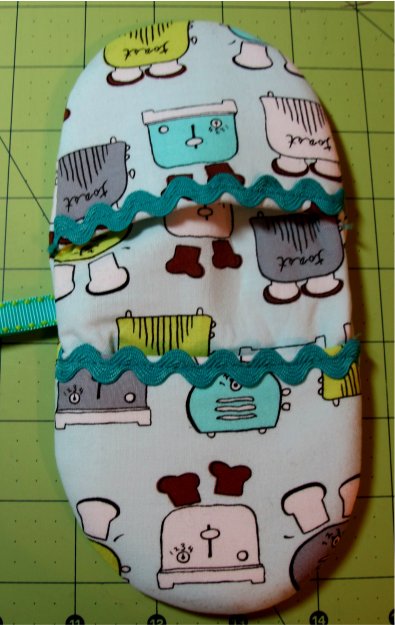 It’s like sewing in a sleeve or any other curved piece. Cut out your pieces as noted on the pattern and prepare the Hedgehog following the instructions. Once you get to the point where your ready to attach the Head to the Body, with RST, pin the end of the Head and the Body together; now continue to pin the pieces together like a sleeve...they fit RIGHT? Now sew them together. If they don't fit, then check your cut pieces next to the templates and be sure you’re not working with any of the batting yet. The second item is that you do not cut a Back Body piece because there isn’t one - you don’t need one. This approach could be something new to you, but it’s not to Susie’s designs, because Susie is a little lazy - she likes to take short cuts whenever possible. 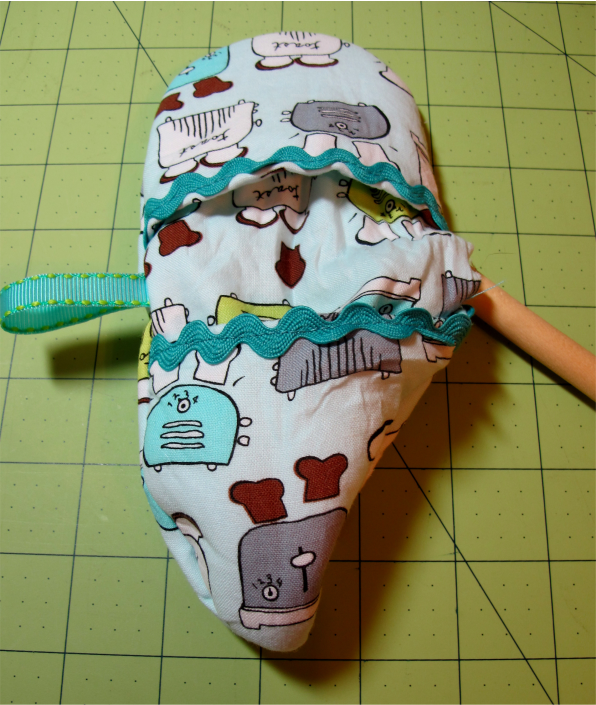 Once you piece your Ears, Head and Body, you build a stack as instructed in instruction #8 using the remaining Hedgehog Body fabric and batting(s). 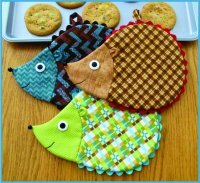 You’re using your pieced top Hedgehog as your template and you just sew around it as instructed. This process saves time piecing and cutting - you don’t need to cut, piece and sew two Hedgehogs nor do you need to fussy-cut the batting(s), and with the edges on the stack you won’t stretch out the basic shape of the Hedgehog...Easy Peasy! Many of you may not know what Doctor Who is, right? Doctor Who is a humorous BBC sci-fi program that started in 1963 and depicts the adventures of a Time Lord - a time-traveling humanoid alien know as Doctor Who. The Doctor explores the universe in his "TARDIS", a time-and-space-travel machine that flies through the time vortex. Its exterior appears as a blue British police box (a common sight in Britain in 1963, when the series first aired). Along with a succession of companions, the Doctor faces a variety of foes while working to save civilizations, help ordinary people, and right wrongs. 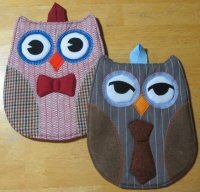 Laura is a real Doctor Who fan (as am I) who has turned our Hot Who pattern into Doctor Whos!!! Shown here are two versions of different Doctors - Doctor #10 with the traditional tie, and Doctor #11 (the current Doctor) with the bow tie. “Doctor Who Whos" When Laura asked permission to sell her finished products on Etsy and sent in a picture, we couldn’t resist such a cute and creative concept! Thank you Laura for sharing your creative talents with us!! Hot Fingers are really an easy project especially if you use a turning tool. We get many calls asking how to turn the Hot Fingers right side out, most claiming the opening is too small, well yes, the opening is small, Hot Fingers is for your fingers so the opening isn’t large enough for your hand to fit inside. But it’s really simple to turn your Hot Finger’s right side out if you use a turning tool. Our favorite turning tool is a wooden kitchen spoon (about .25 cent at Wal-Marts). 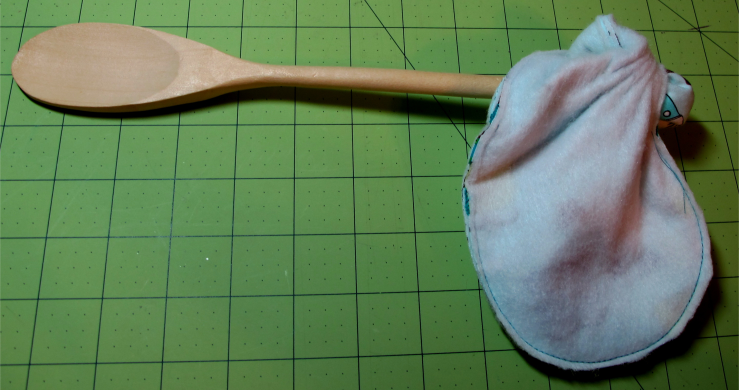 On one sewn Hot Finger rounded end (wrong side out), gently push the rounded end in with the straight end of the spoon aiming the spoon end towards the side opening on the sewn Hot Finger....keep pushing fabric through the opening until you have enough fabric pushed through the opening to pull half of the Hot Fingers right side out, repeat with other side. 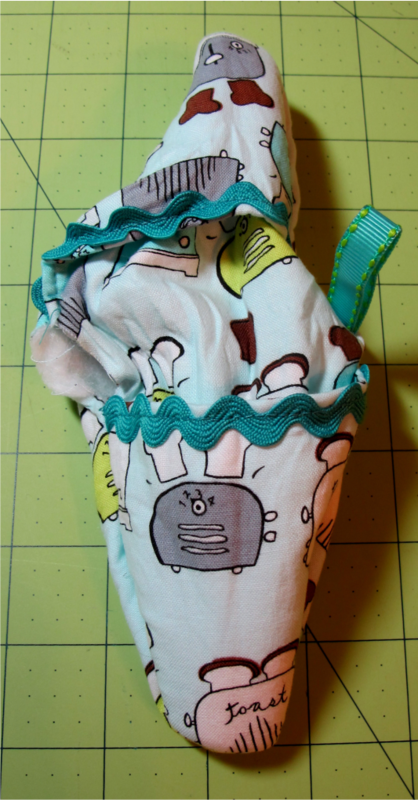 Smooth out the Hot Finger with the spoon’s straight end, press flat and sew opening closed, following the Hot Finger’s instructions. 2.. 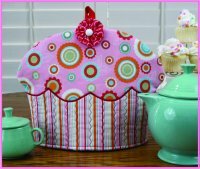 Warm the teapot (run some hot tap water in the pot - don’t forget to empty it)!